The Business Series Terminal T7316 is a professional level, multi-line, telephone equipped with a two-line display. It's specifically designed for the high-call-volume user, who typically requires a maximum amount of interactive information and a programmable set of buttons. Ideal users include managers, executives, other professionals, and office administrators. * Functionality of some features assumes availability and customer subscription to service provider offerings. 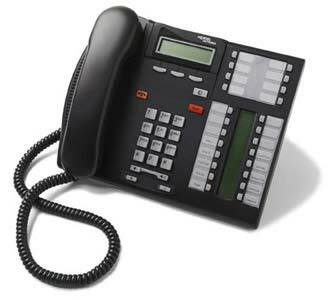 Local telephone companies: Buy Nortel Norstar T7316e phone sets at wholesale prices for your rental programs.